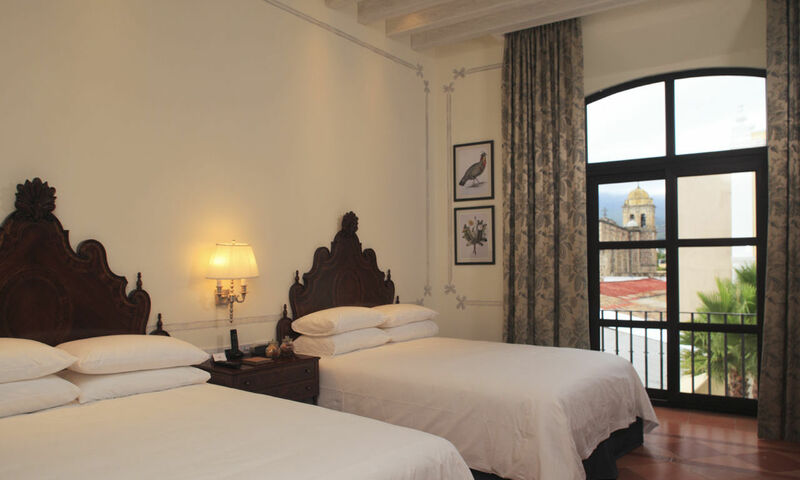 Rooms - Hotel Solar de las Animas Perfect hotel for your vacations in Guadalajara Jalisco. 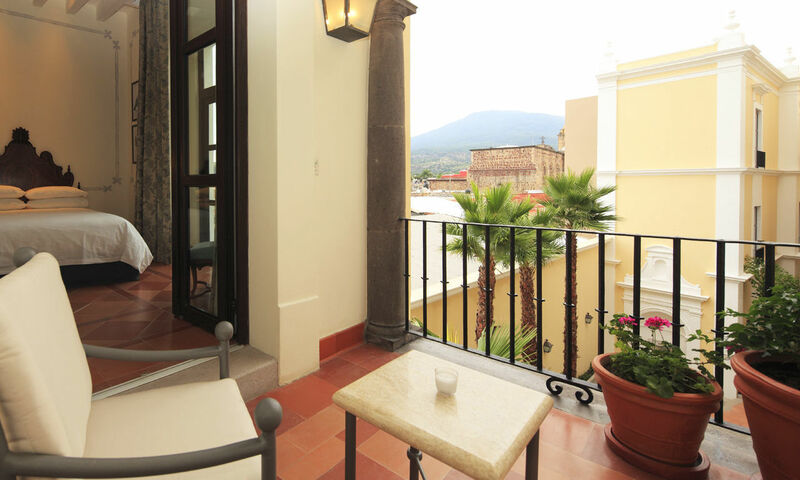 Offering a delightful view of the inner courtyards of the hotel. 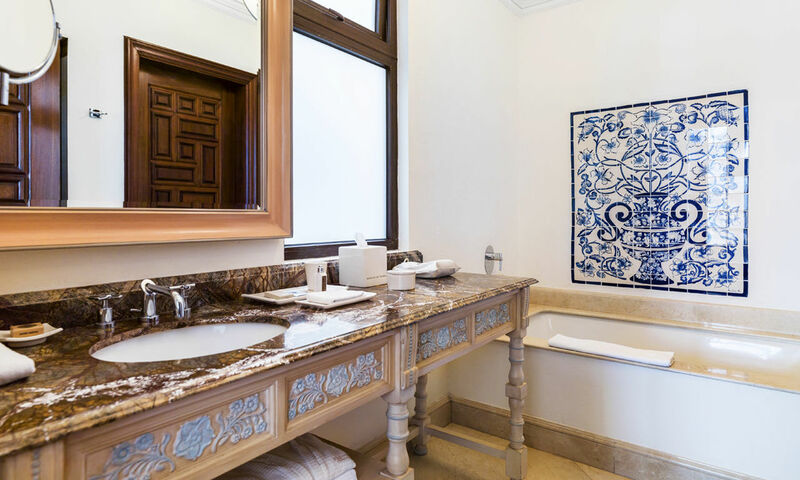 The pristine marble floors and high-quality ceramics of the en-suite bathrooms with their luxury double hand basins emphasize the feeling of space. 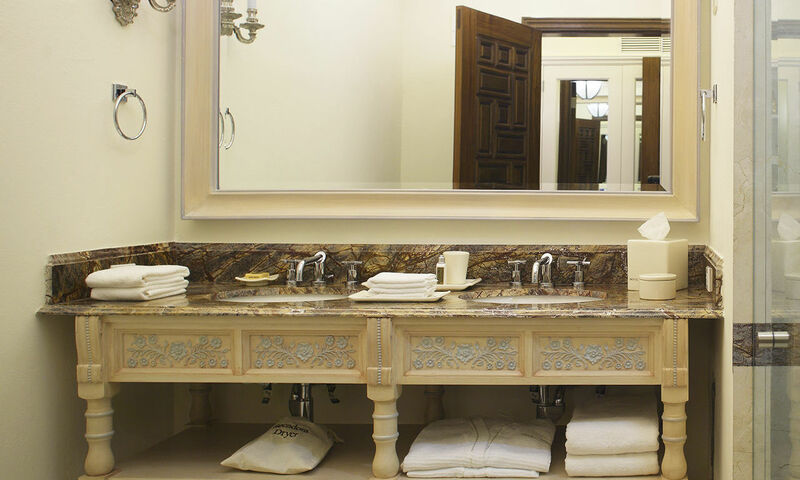 Quality detailing – Egyptian cotton bedlinen and towels, vanity mirror, bathrobe and slippers… – adds touches of luxury to an unforgettable stay. 24-hour WiFi, free access to Gym and Sauna and free use of Sky Bar Terrace. Hair dryer, L'Occitane products and exclusive local beauty products, vanity mirror, shoeshine, bathrobe and slippers. 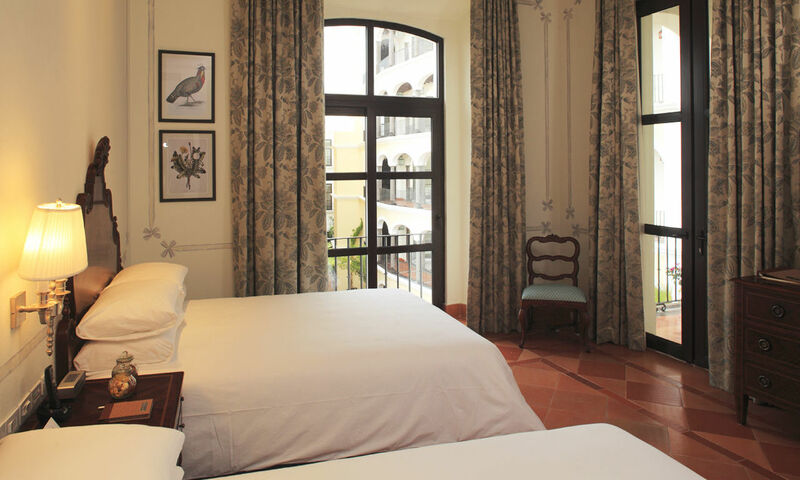 Turndown service, 24-hour room service, 24-hour laundry and dry-cleaning service, baby-sitting service. 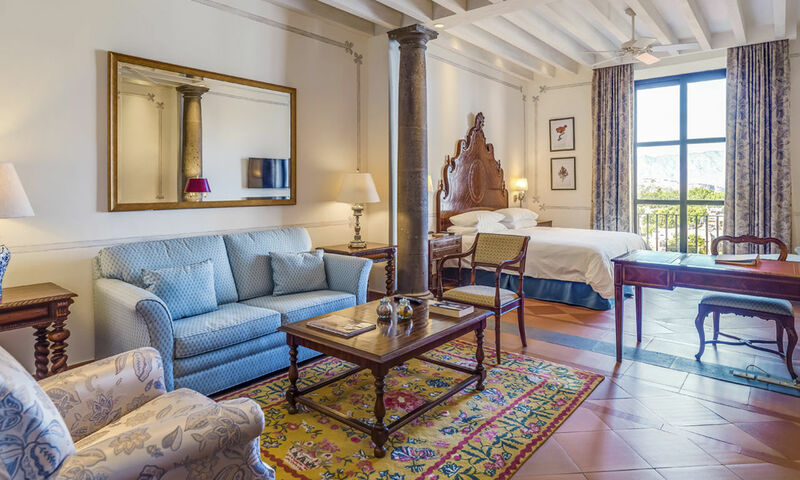 High-speed internet connection, air conditioning, wake-up service, in-room safe, TV, electronic keys, free internet access. Room size: 40 sq m; bed: one kingsize. 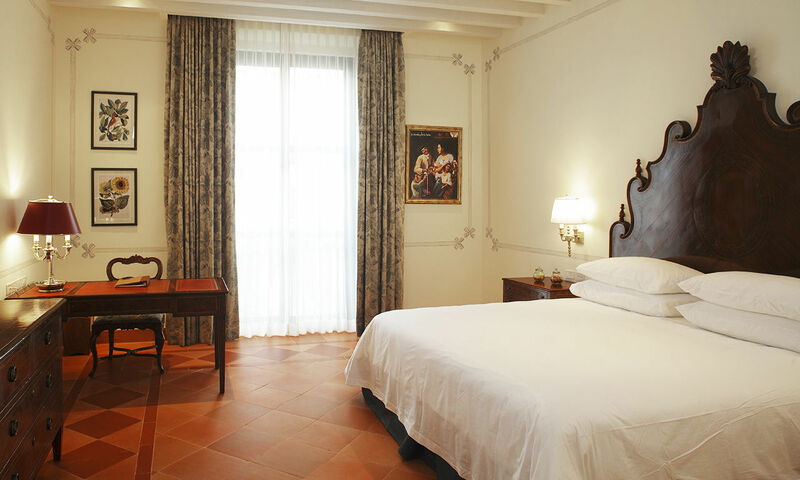 Decorated with Mexican colonial-style artwork and with large picture windows, these spacious rooms boast twin queen beds, comfortable reading zone and work desk. 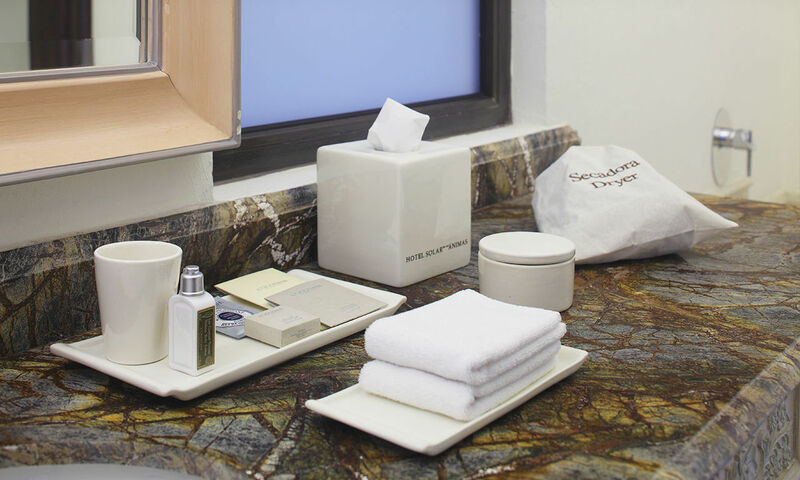 Amenities include local beauty products, shoeshine and Smart TV, surrounding you in an atmosphere of luxury and relaxation. 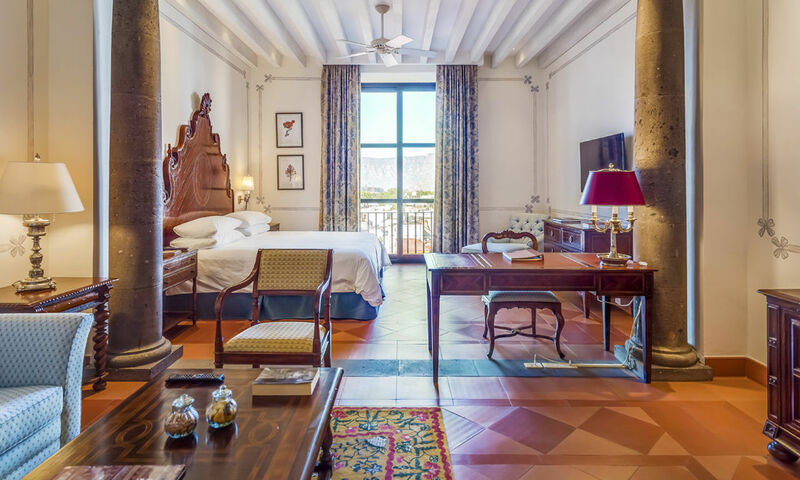 Daily room-cleaning service, High-speed internet connection, air conditioning, wake-up service, in-room safe, TV, electronic keys, free internet access, mini bar. 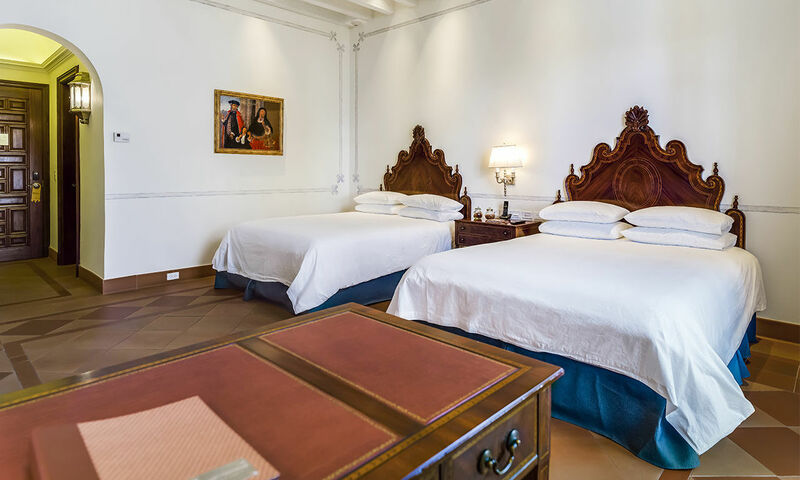 Room size: 56 sq m; bed: two queen-size. 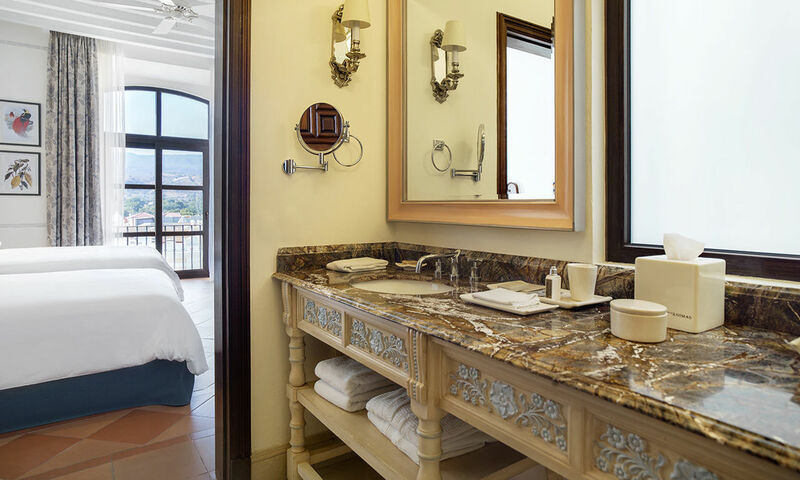 Elegantly appointed and decorated with faultless good taste, these magnificent suites offer our guests an unmatchable experience of the agave landscape with views of the imposing Sierra Madre. 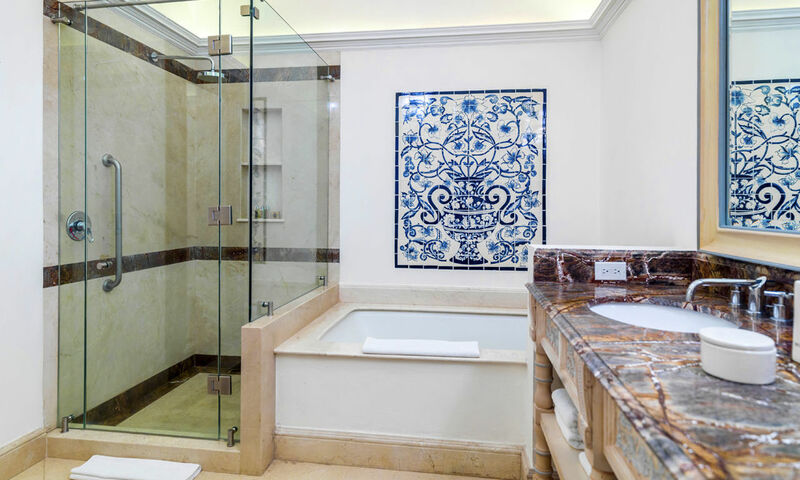 The spacious bathroom boasts a luxurious bathtub and a range of fine toiletries, while room facilities include minibar and wine cabinet. 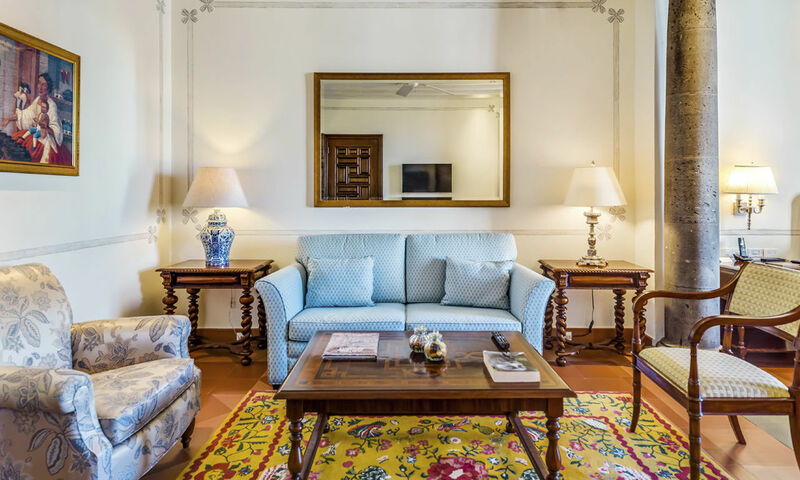 Turndown service, non-smoking rooms, 24-hour room service, 24-hour laundry and dry-cleaning service, baby-sitting service. 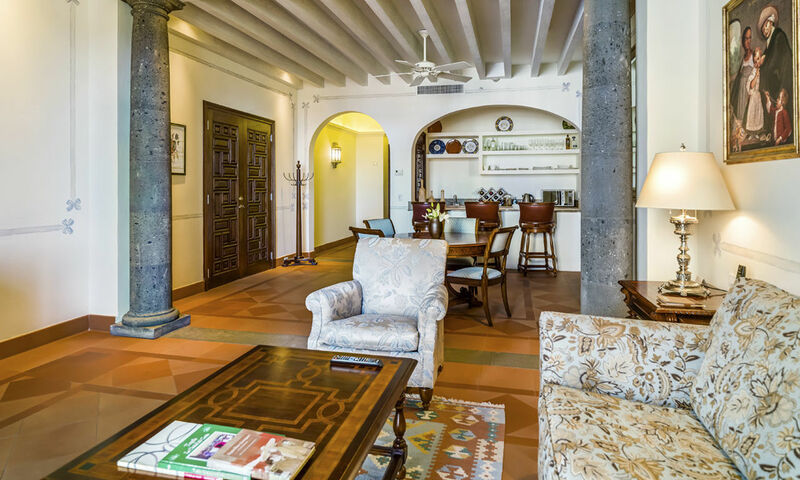 High-speed internet connection, daily room-cleaning service, air conditioning, wake-up service, in-room safe, TV, electronic keys, free internet access, bath tub, mini bar. Room size: 60 sq m; bed: one king-size. 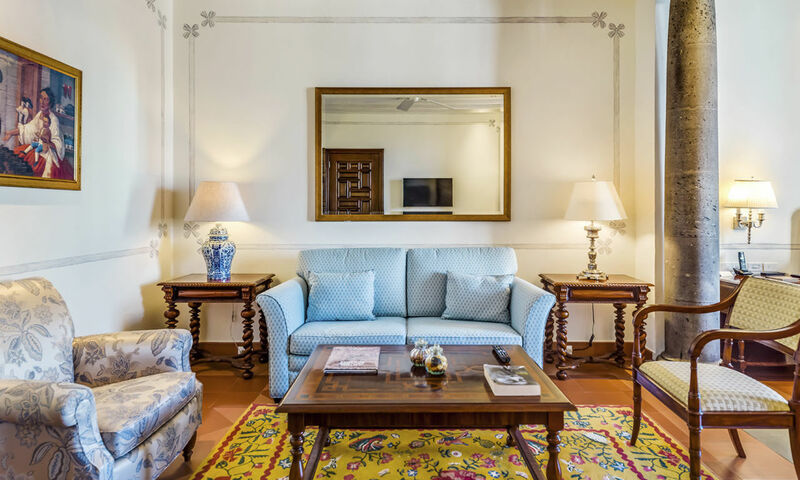 The largest of our rooms offers superb furnishings and fine marble detailing. 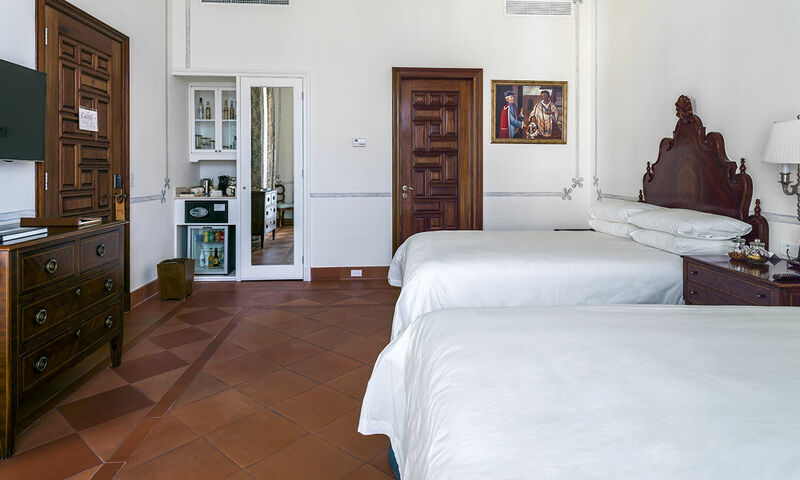 The outstanding quality of amenities such as the Egyptian cotton bedlinen and towels, and down duvets and pillows, will more than satisfy the demands of the most exacting guest. 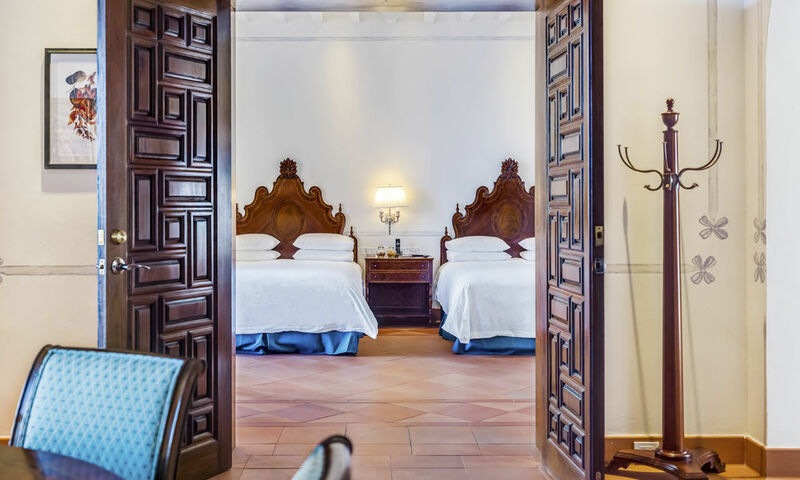 This room adjoins a master bedroom with two beds. 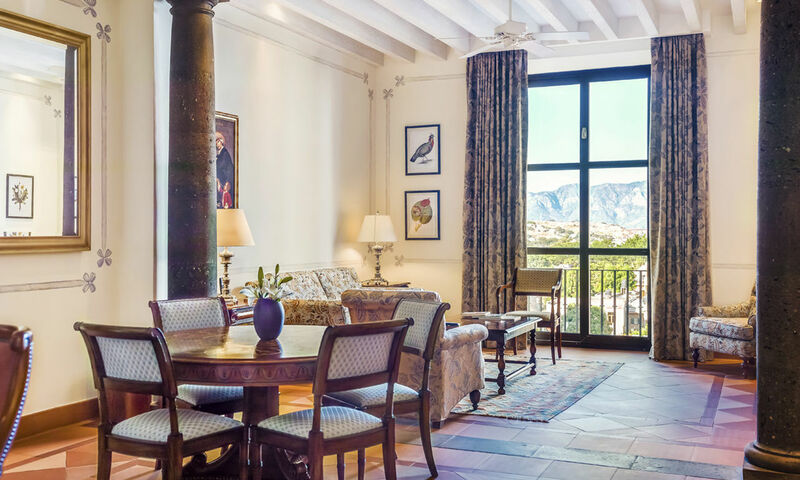 High-speed internet connection, daily room-cleaning service, air conditioning, wake-up service, in-room safe, TV, electronic keys, free internet access, bath tub, mini bar, balcony. Room size: 110 sq m; bed: one king-size & Bed size 2 Queen.